Okay, Okay– you guys were right about the instant pot! It. is. AH-MAZ-ING. I recently bought an Instant pot and wanted to give it a run to see what I thought and YES is all I have to say! 90 minutes of effortless cooking and TA-DA! I had a perfectly juicy, fall apart pulled pork! I have to say, it’s worth the hype people. Go to amazon now and buy one, you won’t regret it. Anywho, I digress. It’s summer and everyone needs a good bbq pulled pork recipe in their lives. 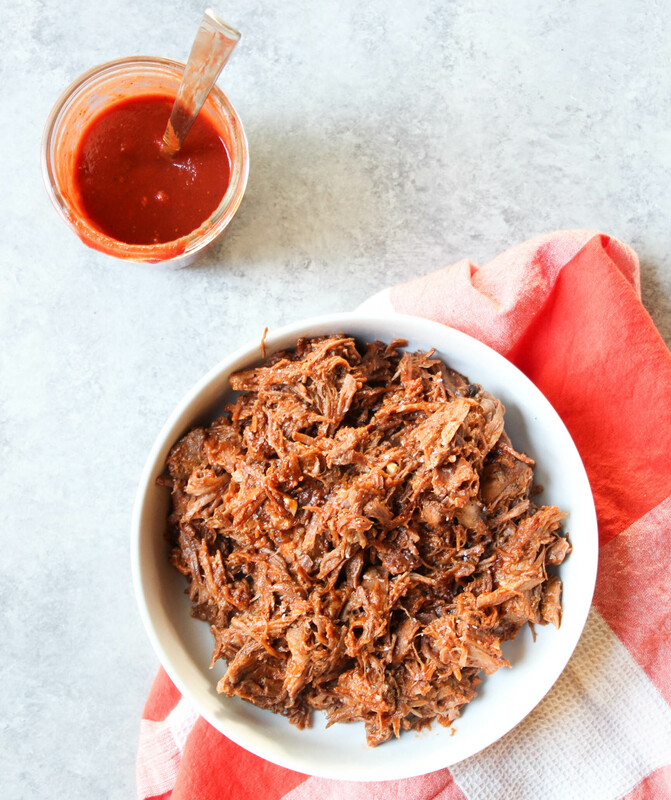 So what better first instant pot recipe than make a classic pulled pork and smother it in Whole30 BBQ sauce? I think it’s one for the books people. 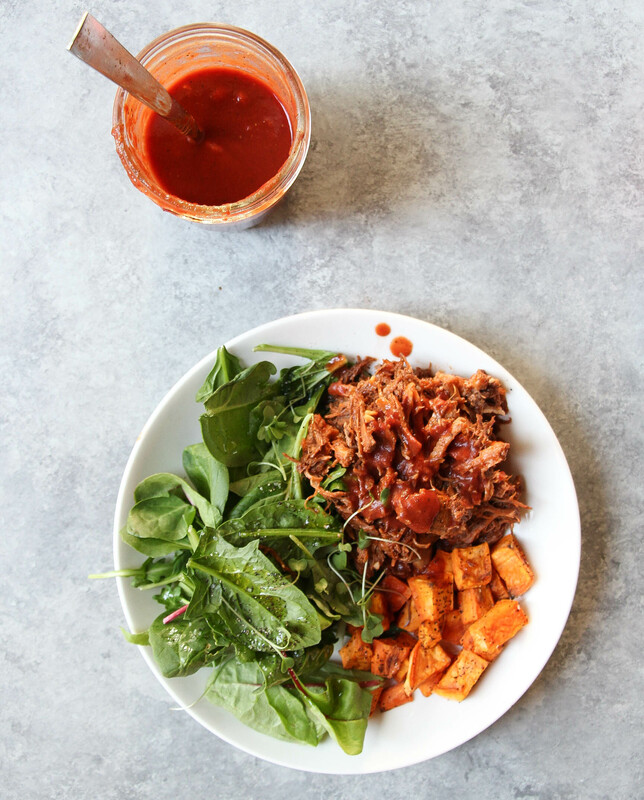 You can do all sorts of fun things with this BBQ pulled pork: keep it simple like I did and serve it with greens and roasted sweet potato, serve it in lettuce cups “taco” style, make little sliders in between some sweet potato buns, add it to your eggs for breakfast…the list goes ON and ON. Cut pork shoulder down into four large hunks (you'll have to cut around the bone). Season the pork all over with kosher salt, pepper, and cumin. Turn the Instant pot on the "saute" setting. When hot, Add 1 tbsp. olive oil to the instant pot, then sear the pork on both sides, about 4 minutes per side, until golden brown. Toss in the onions, garlic, apple cider vinegar, and chicken broth. Hit "cancel" on the instant pot, then hit "manual", and turn the time up to 90. Cover and let cook in the instant pot until time is done. When the cook time is done, the Instant Pot will switch automatically to its “Keep Warm” mode. If you’re at home, press the “Keep Warm/Cancel” button to turn off the cooker and turn the valve from sealing to venting to release the pressure quickly. When pressure is released, open instant pot. using tongs, remove the pork onto a cutting board (you can discard the liquid in the instant pot). 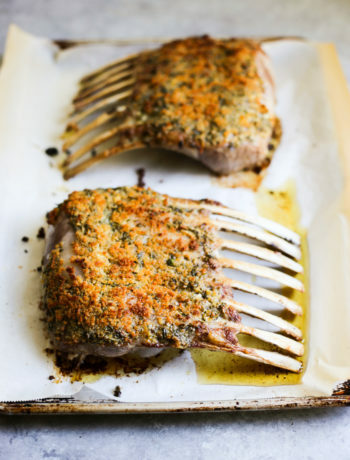 The pork should shred very easily by just squeezing it with the tongs, or using two forks to shred. Discard any unwanted fat. 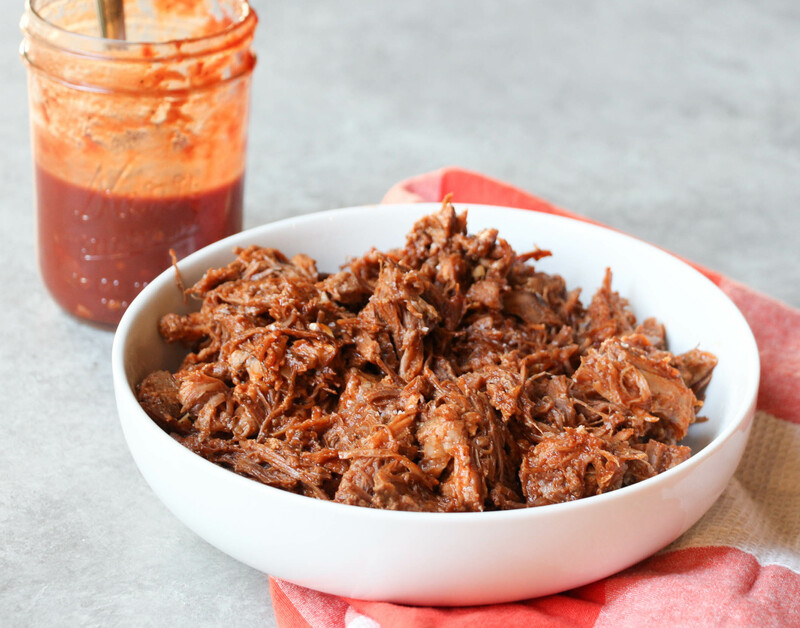 Place shredded pork in a cast iron skillet over medium-high heat and pour 1 cup (or more to taste) of bbq sauce over and toss to coat and cook for about 5 minutes, or until the liquid is cooked off and the barbecue sauce has soaked into the pork. Taste and add salt and pepper or more bbq sauce, if needed. Serve however you please and enjoy! 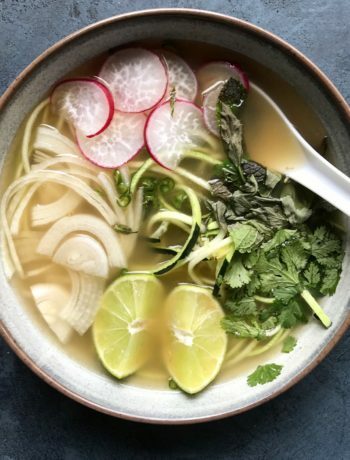 If you don't own an instant pot. Make this pulled pork recipe then continue with step 7. 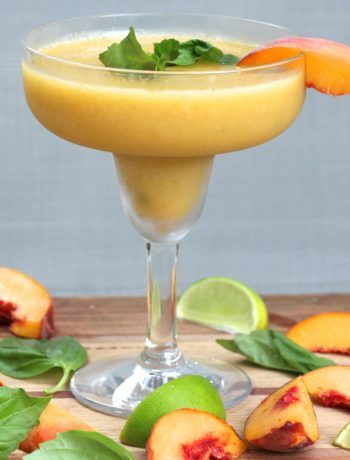 This sounds so good! Maybe I’m just going crazy but I read through the recipe 3 times and didn’t see where you added in the apple cider vinegar, garlic, chicken broth or onion. Do you just add all those things in after you switch from sauté to Manual? Excited to try this as I just got an instant pot last week!! Sorry about that I missed an entire step, but I just edited it. Do you disregard the bone? Could I use a bonesless shoulder? I prefer to leave the bone in there as it makes it more tender, but yes… you can do it boneless for sure!! And discard the bone after you shred. My husband has pork sensitivities. Do you think I could follow the same steps and use brisket? I don’t eat pork, could I do this with chicken? Yes, you just wouldn’t cook it near as long. Can you use a crock pot? Yes, I linked the crockpot version in the bottom of the recipe in the notes section.